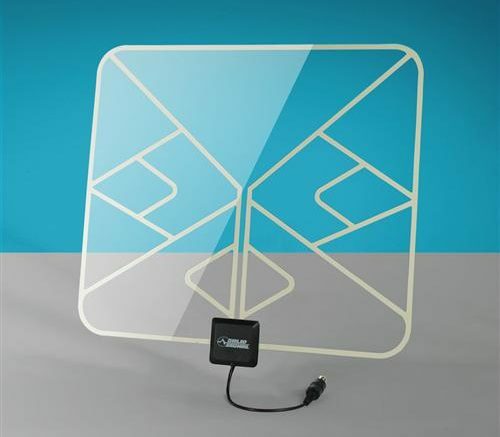 There are reports out there of people who get free, over-the-air HDTV channels without even hooking up an antenna. How can that be, you say? Isn’t an antenna necessary for reception? Well, yes it is, but you there are some cases where it can look like you don’t need one. What you have to realize is that pretty much everything is capable of receiving some signals. Some materials like plastic do such a poor job that there’s no sense in calling them antennas. However, the metal components in your TV, unless they’re properly shielded, are going to receive some RF broadcasts by themselves. This includes the actual connector where you’d normally put an antenna. So, if the signals are strong enough, you’ll probably get some reception without hooking up an antenna at all. How strong would they have to be? Let’s say you were within 2 miles of the broadcast towers and could actually see them from where you put your TV (like if the TV was in front of a window.) That may seem like a pretty unlikely scenario but it’s not totally impossible. In a case like that, you might actually overdrive your TV by putting a big antenna on it. I can tell you from personal experience that “way back when,” I lived downtown in a large city and had a view of the top of the skyscraper where the broadcast towers were. It was about .9 miles away (and 60 stories up.) Not only could I get a few channels without an antenna, I actually had to put an attenuator on my cable so that I could watch TV without distortion. I’ve known other people in a similar scenario. In a case like that, there are probably going to be some channels you get without an antenna and some where you need an antenna. You can play around with aiming and with attenuators to see what works best in your scenario If you’re really serious you might want to even experiment with notch filters to cut down the amount of signal on some frequencies while letting through others. Usually this isn’t necessary… some careful aiming usually does the trick. DO WHAT NOW? Clean an antenna with cola?